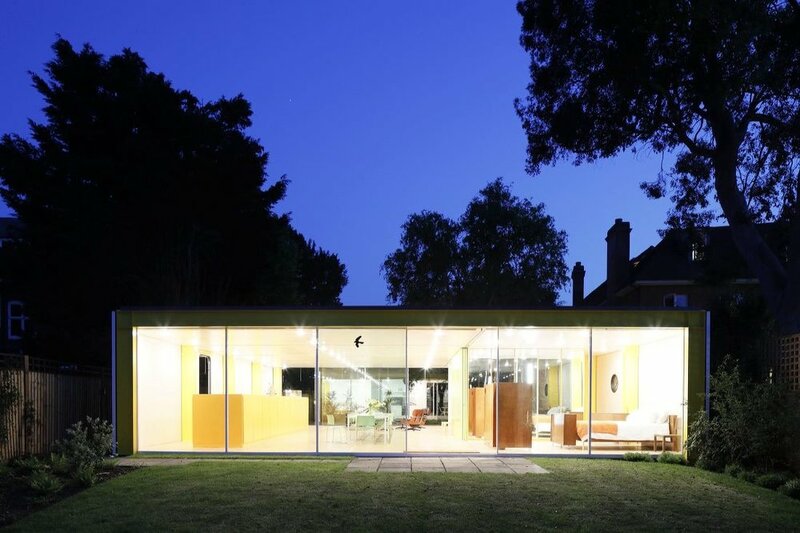 Richard Rogers’s Wimbledon House. Photograph by Iwan Baan. Courtesy of Harvard Graduate School of Design. Gumuchdjian Architects’ renovation of Richard Rogers’ Wimbledon House (‘22 Parkside’) in London, UK - originally built in the late 1960s - has been unveiled. Gumuchdjian Architects’ proposition to Harvard was to return the house to its condition in the 1990s, whilst simultaneously exploiting the advantages of modern materials and accommodating the needs of two resident academic fellows and a space to hold seminars and large events. Architect Philip Gumuchdjian says: “The house was conceived as a kit of parts in an age before such concepts were commonplace and the process of 'opening up' with the revelation of all its technical flaws demonstrated just how bold and experimental the building was. The House, designed by Pritzker Laureate Rogers for his parents, was gifted to Harvard GSD in 2015 by Rogers and his wife Ruth Rogers, to ensure the Heritage-listed property’s continued use as a residence, and to provide a unique research opportunity for future generations of architecture professionals and scholars, from across fields and disciplines, whose work is focused on the built environment.